On November 25, 2018, community-based organizations, non-governmental actors and representatives from the legal community convened in Mandalay, Myanmar for a special community theater performance raising awareness about violence against women. Organized by IDLO and its local partner, Life Drama, the event kicked off the 16 days of activism against gender-based violence – a global campaign that aims to raise awareness about the worldwide epidemic of sexual and gender-based violence (SGBV) and spark momentum to eliminate it in all its forms. Dressed in orange to symbolize solidarity with the campaign,142 participants watched community theater performances that addressed daily SGBV issues that are experienced in Myanmar, including domestic, physical and emotional violence perpetrated by intimate partners and family members, gender discrimination and stereotyping, and public verbal sexual harassment. The event took place as part of IDLO’s Women’s Access to Justice project, implemented in partnership with MyJustice and the British Council, funded by the European Union. With a focus on grassroots efforts and local ownership, the project aims to prevent and eliminate gender-based violence in Myanmar by building the capacity of community-based organizations to support women and girls in their communities. Sexual and gender-based violence in Myanmar remains a significant crisis, and the issue is characterized as a “silent emergency” by local actors and the international community, due to the heavy stigmatization surrounding it. “Around the world, there are significant obstacles for women who seek access to justice and services in response to sexual and gender-based violence. In Myanmar, these obstacles include widespread cultural and social stigma shrouding this type of violence, as well as an overall lack of legal awareness and adequate formal and informal legal protections,” stated Mette Jacobsgaard, acting Interim Country Manager of IDLO in Myanmar. Locally-led awareness-raising initiatives are therefore a key tool used break down the prevailing social barriers shrouding sexual and gender-based violence that discourage survivors from pursuing any form of redress or justice. “IDLO recognizes that it is our partner community-based organizations, who work at the grassroots level, that best understand how to address the issue and develop sustainable initiatives that will best serve their communities,” continued Jacobsgaard. "It is our partner community-based organizations, who work at the grassroots level, that best understand how to address the issue and develop sustainable initiatives that will best serve their communities." By building the capacity of community actors, the positive effects are often multiplied – for example, the community theater organization, Life Drama, was founded by graduates of the IDLO-supported Rule of Law Centres. Local organizations involved with the project engage with their communities using a variety of techniques, including forum theaters, training and counselling. Driven by local sensibilities, the initiatives work to inform citizens about the legal pathways available to them within reach and at the community level. “Events like today's are great because they raise awareness about the different kinds of SGBV in our community,” commented one event participant. “Many women face issues of SGBV but due to their lack of awareness they don't even know they are experiencing it and therefore, don't seek any help. 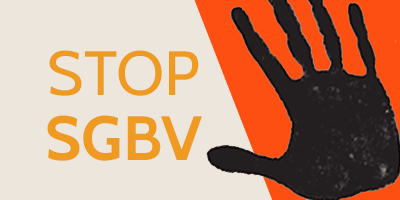 It is encouraging to learn about the different types of SGBV projects that are running in our community." Looking forward, the project will continue to promote locally-led activities, laying the ground for social and cultural change.